Kate Middleton relies on tried-and-tested accessories for gorgeous gala appearance | HELLO! The Duchess of Cambridge, née Kate Middleton, looked flawless as ever in a recycled Jenny Packham gown at the A Taste of Norfolk gala on Wednesday night. However it wasn't just Kate's dazzling gown that was familiar to royal fans, but her accessories too. The 34-year-old completed the look with some of her favourite accessories, which included a mix of both high end and high street pieces. This included the same pink Prada clutch bag and LK Bennett Agata sandals which she had previously worn with the gown in 2011. These £250 shoes have recently been reissued by LK Bennett with some slight style updates to the timeless and elegant style, including a new leather upper, wider bow and smaller heel. 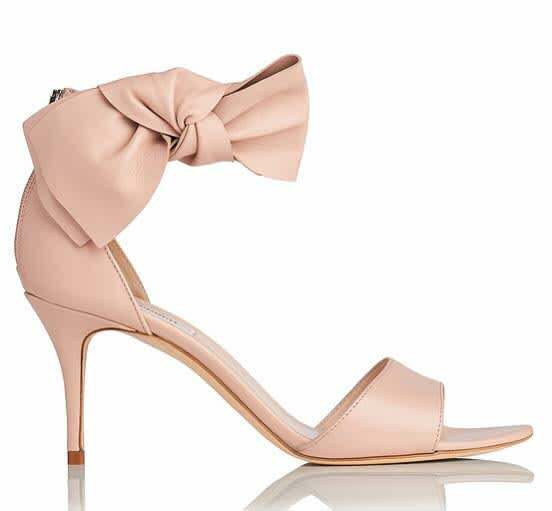 They are available in black, navy and the soft pink hue Kate wears. The Duchess wore her hair swept back into a low chignon, adding a pair of diamond drop earrings that have been loaned to her from the Queen's personal collection. Kate has worn the stunning design on a number of occasions, including the China State Dinner in October. Completing the look was a bracelet that Kate also wore for her first state dinner. The stunning design is believed to have been adapted into a bracelet from a choker style necklace that was previously owned by Queen Mary.